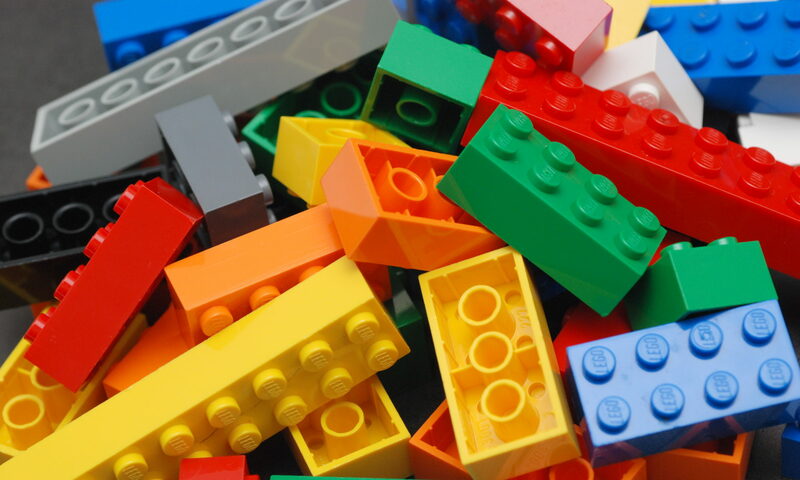 Gateway LEGO Users Group (GtwLUG) is a group of adults who enjoy building with LEGO® brand building blocks. GtwLUG serves the St. Louis and surrounding areas, both in Illinois and Missouri. GtwLUG was founded in June of 2003 by four adult fans of LEGO® (AFOL) in anticipation of the LEGO Road Show that stopped at the St. Louis Zoo in October of that year. Though they participate mostly in train shows, members are encouraged to build in whatever theme, or themes, they are interested in. The club makes every effort to accommodate individual’s interests and incorporate their creations into club layouts. GtwLUG’s layouts are whimsical and never the same. Past layouts have included a caravan of elephants going around the train track and a giant scorpion climbing a two foot tall model of the St. Louis Arch. Layouts frequently include subtle, comical details, such as a witch and broomstick stuck to the front of a train or a skeleton at the train station. Members of GtwLUG have been known to modify layouts during shows as ideas come up or are discussed with other members. Regularly featured models include a 4-foot, two track trestle bridge; housing subdivision; church scene; downtown scene and the St. Louis Arch. Unlike traditional model train displays, GtwLUG uses tables that are 30 inches tall, so that younger train and LEGO® fans can easily view the layout. On occasion, this has lent itself to train derailments or other incidents. Since the trains and accompanying models are made with LEGO® blocks, the models are simply reassembled right in front of the audience. It takes more than a fall to the floor to render a LEGO® block unusable. The members of GtwLUG typically meet once a month to discuss up-coming events, MOCs (My Own Creations), new LEGO® products, ideas and anything LEGO® related, and non-LEGO related topics as well. Members typically bring MOCs or sets to display and discuss. GtwLUG meets at libraries and at event sites. Visitors and prospective members are always welcome to stop in. See the schedule for details. GtwLUG is one of 30+ plus LEGO® clubs in the US and one of the nearly 100 clubs worldwide. GtwLUG is not sponsored or endorsed by the LEGO Company. For more information about GtwLUG, e-mail us at info @ gtwlug [dot] org.